Nick joined Rokt from Shutterstock where he served as Senior Vice President of Sales. During his time there, Shutterstock’s enterprise revenue performance grew by more than 450%. Prior to that, Nick held numerous sales roles with increasing responsibilities at UGO Entertainment, an online property of Hearst Communications. While there, Nick helped boost revenue by 7.5X, and played instrumental roles in many corporate developments, including UGO’s acquisition by Hearst. Nick holds a Bachelor of Science in Corporate Communications from Elon University, and certificates from several Vivendi Universal Management Training programs. 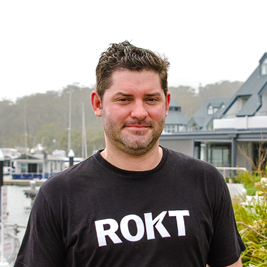 Nick is based out of Rokt’s New York office.